Memories To Share – Page 2 – The good memories will comfort and give us peace. 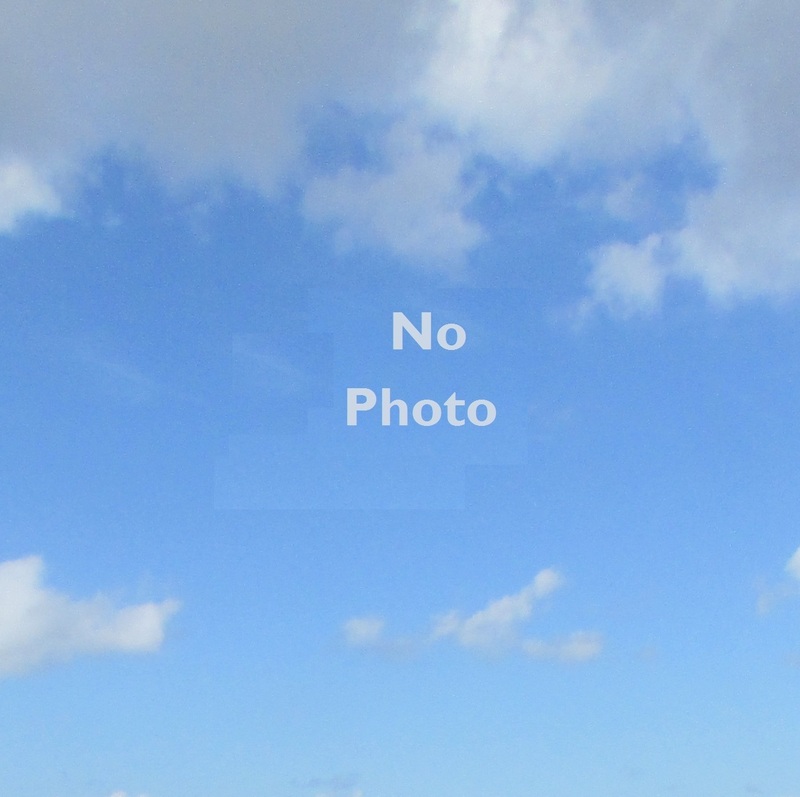 Mission Tx.—Neo Reyes, passed away on November 8, 2016, he was 26 years old, he is survived by his Mother: Mrs.Cindy Reyes, Father: Mr. Nieves Reyes, brothers and sisters. Rest in Peace at Lord and I Cemetery, Palmview Tx. 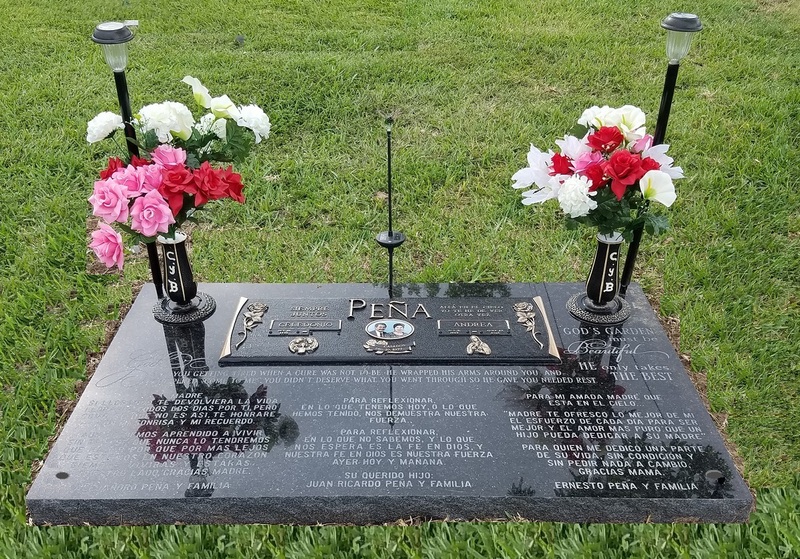 Rest in peace at Palm Valley Memorial Gardens, Pharr Tx. Mrs. Peña is survived by her husband, Celedonio Peña and Sons Alejandro, Ricardo & Ernesto. God saw you getting tired when a cure was not to be, he wrapped his arms around you, and whispered “come to me” you didn’t deserve what you went through so he gave you needed rest, God’s garden must be beautiful, he only takes the best. Harlingen Tx. 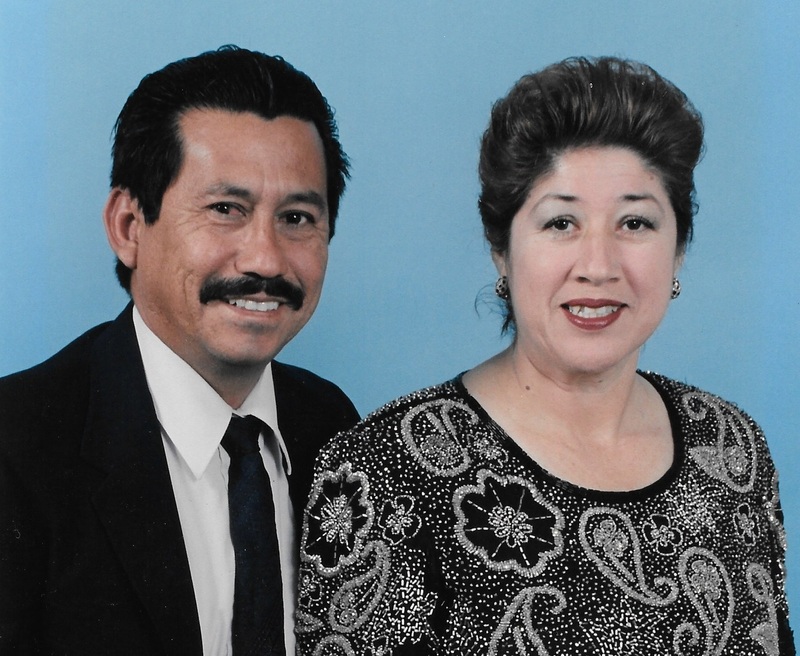 —Lupita Nava White, passed away on October 18, 2015 she is survived by her Son, Daughters, grandchildren. In God’s care she is rest in peace at Mont Meta Memorial Park in San Benito Texas. De parte de sus hijos, hijas, nietas y nietos. From left: Mati Lopez, Peety Hinojosa, Martin Cuevas, Anita Cuevas, Cindy Cuevas, Terry Hernandez, Janie Saldaña and Rick Cuevas. They are brothers in Law, resting at Highland Memorial Park, Weslaco Tx. 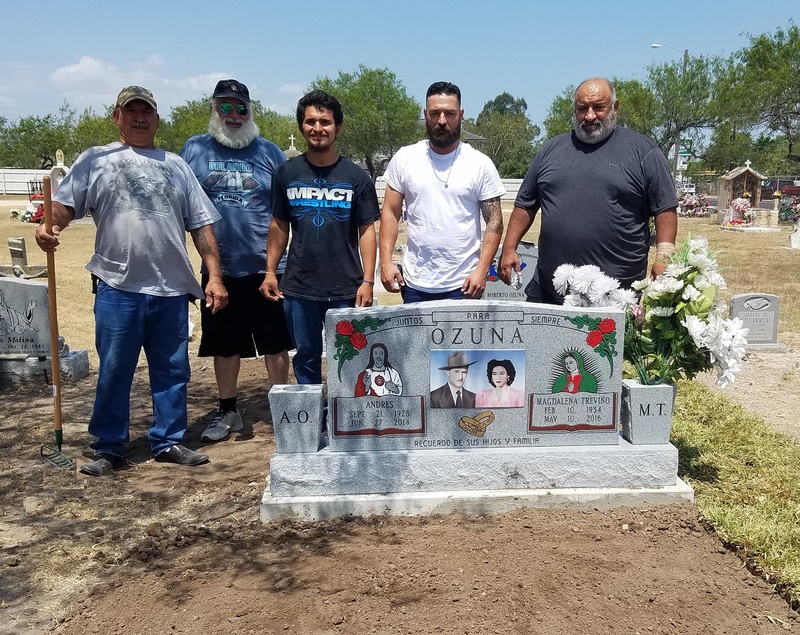 Ozuna Brothers, Left to right, Homer, Julio, Chris, Antonio “Tony”, and Jimmy Jr.
Andres Ozuna and Magdalena Treviño they got married in Dec. 15, 1950 Rest in Peace at Las Milpas Cemetery, Pharr Tx. Their children take care of their graves. Monclova Coahuila—En el seno de nustra Santa Madre Iglesia fallecio el Sr. Jesús Flores Medellín, a la edad de 74 Años, originario de Matehuala S. L.P., hijo de Don Jose Flores y Doña Teodora Pecina ya fallecidos, le sobreviven su Esposa, hijos, Nietos, Hermanos, Hermanas y sobrinos. Rest in peace at San Diego Texas (San Diego Cemetery) he is survived by his wife and sons. San Juan Tx. 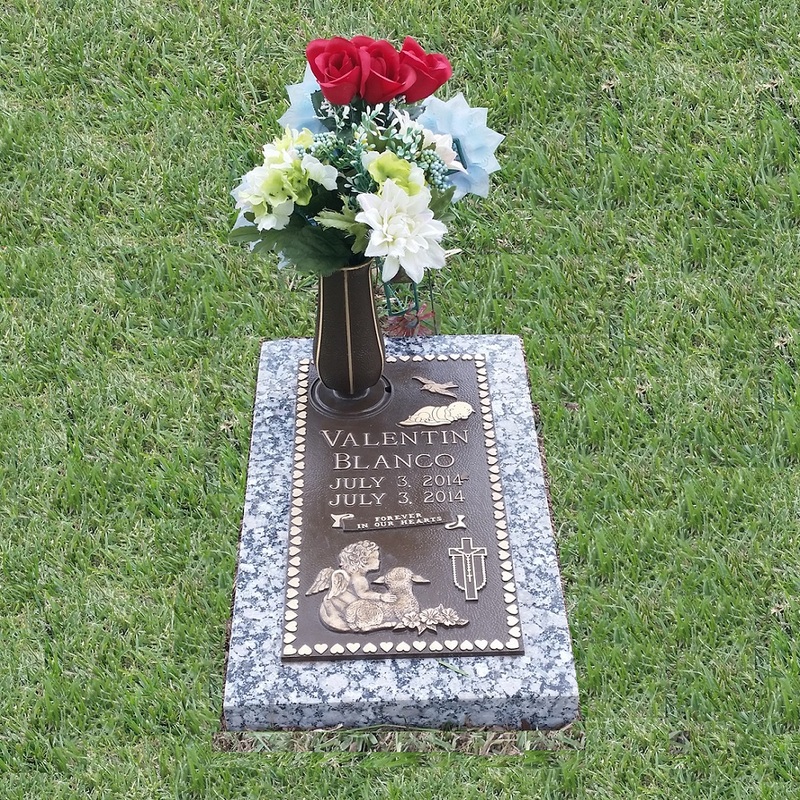 Baby Valentin, went to heaven to be an angel, he is survived by his Parents, brothers and sisters, may he rest in peace at Palm Valley Memorial Park, Pharr Tx.